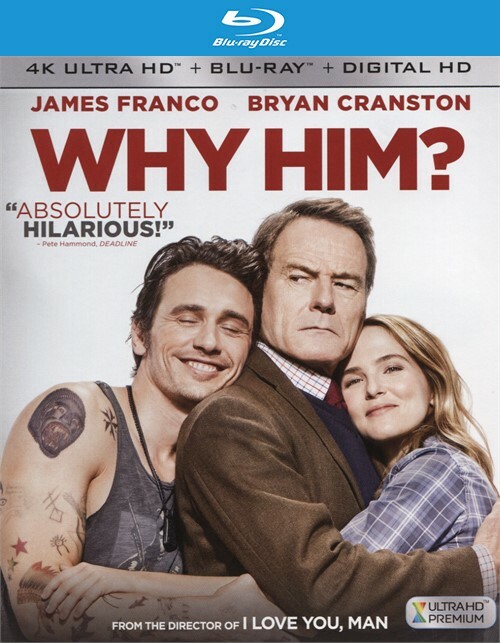 Bryan Cranston and James Franco fight the ultimate battle of wits and wills in this outrageous, no-holds-barred comedy from filmmaker John Hamburg (I Love you Man, Along Came Polly, Meet the Parents, and Zoolander). Ned (Bryan Cranston), an overprotective but loving dad, and his family visit his daughter at college, where he meets his biggest nightmare: her well-meaning but socially awkward Silicon Valley billionaire boyfriend, Laird (James Franco). A rivalry develops, and Ned's panic level goes through the roof when he finds himself lost in this glamorous high-tech world and learns that Laird is about to pop the question. 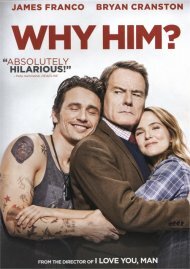 Review "Why Him? 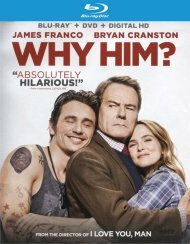 (4K Ultra HD + Blu-ra"
Reviews for "Why Him? 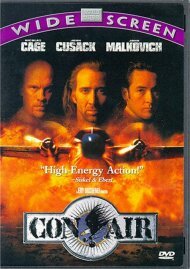 (4K Ultra HD + Blu-ra"